I taught high school math in Boston Public Schools. It was an amazing experience. At the time, the World Wide Web as we know it was growing rapidly, but was fairly new to students and teachers. For the majority of my students, math was something that they "had to do," and not something that piqued their interest. I couldn't blame them. The challenges that they faced daily made me feel like I grew up in Eutopia. In reflecting upon their experiences, it was clear that I did. Despite this gap between school and home and the chasm between what they were being tested on and what they understood, when I integrated technology into class lessons something happened. Students who acted out focused; students whose heads were buried in their desks came up for air. It was clear that student engagement was the first step to making math matter. Occasional wow moments with technology were helpful, but any interest that piqued as a result of these wow moments seemed to wane quickly. I knew that in order for students to gain a deeper interest in math, they would have to contribute to their own understanding by engaging with the content at their own pace with assistance when they needed it. Not every student required the same help at the same time. What I discovered was nothing new to the field of education, but it was an epiphany to me. 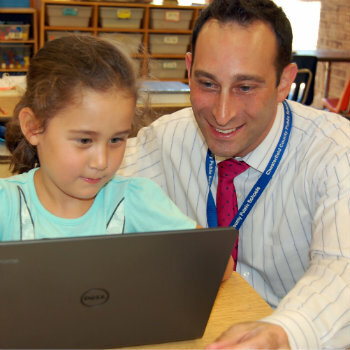 I constantly seek new and innovative ways to empower students through the integration of technology in their learning experiences--new ways to place the student in the driver's seat in pursuing their passions. All students everywhere should have these opportunities, and my work aims to make that happen. Work with an amazing team to make learning more personal and accessible to everyone. Helped teachers and education leaders to connect and collaborate worldwide. 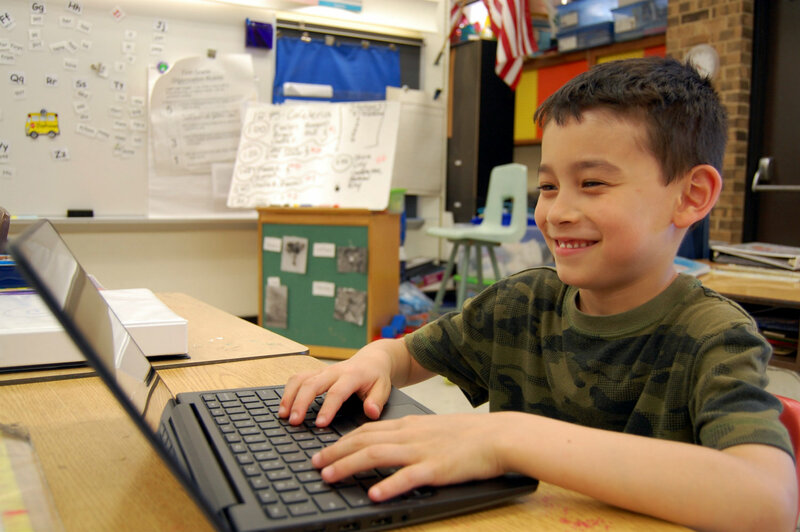 Led one of the largest US deployments of Chromebooks for 33,000 students. Reduced average time to repair for student and teacher technology equipment by 50%. Developed a digital content strategy for textbook replacement, and led committees to scale up online learning and online assessment and adaptive learning. Planned and built all- fiber network interconnecting all schools and administrative offices. Increased division-wide bandwith by 7900% over three years. Authored a “no new dollars” 1:1 computing budget for a 4-year cycle. Currently oversee all district research, evaluation and accountability staff, a technology staff of 110, and a network supporting over 50,000 computers. Led joint curriculum and technology planning, and implemented a paperless curriculum plan for a large public school district. Created strategic technology and instruction plan, and managed all aspects of instructional and network technology. Licensed superintendent and principal/administrator in Massachusetts and Virgina. Mathematics education, licensed teacher in Massachusetts and Virginia. Dean's list, Superintendent's award recipient.